Facing the world of Loading Dock management is like going to a new place you’ve never been before- you need to adjust and be familiar with the terms that are commonly used in this industry in order to fit in. Having knowledge and idea with the vocabularies that are often used will break the communication barrier between you and others who are involved in this industry. 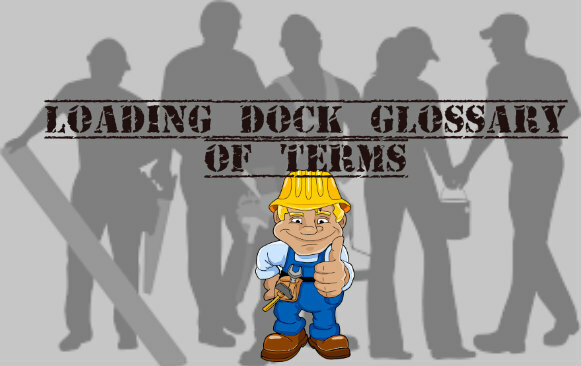 By reading our loading dock glossary of terms below, we hope to reduce your stress and it will guide you in choosing the correct terms that you will use when you need to discuss about a specific concern or inquiry that is related to your loading dock equipment and operations.